When it comes to planning your Thanksgiving dinner, the actual turkey can be the most intimidating part. I know this from experience. The first time I made Thanksgiving dinner for my family, I managed to pull off the turkey, but I completely forgot to thaw out the ham before dinner! (I also bought Golden Hominy Corn, which is SO NOT similar to regular corn. Don’t make that mistake either!) So, make sure to thaw out your bird well in advance! Thawing time can vary depending on the size of your turkey, but should be done in the fridge. I’m sure you guys have heard of Butterball and their Whole Turkeys. And there’s a reason why. They are the number one brand of turkey in America and they are so easy to cook! The turkeys are all natural and pre-brined, to ensure you end up with a tender and juicy turkey. Every turkey also comes with cooking instructions and an easy open bag. They are America Humane Certified, all natural, and gluten free too. But my favorite thing about these Butterball turkeys? They have a team of turkey experts available on their Talk-Line for support, if you have ANY questions at all while cooking! Lifesaver! You can call 1-800-BUTTERBALL or text 844-877-3456 for problems you might run into, questions you have, or turkey dilemmas. Such a cool feature! 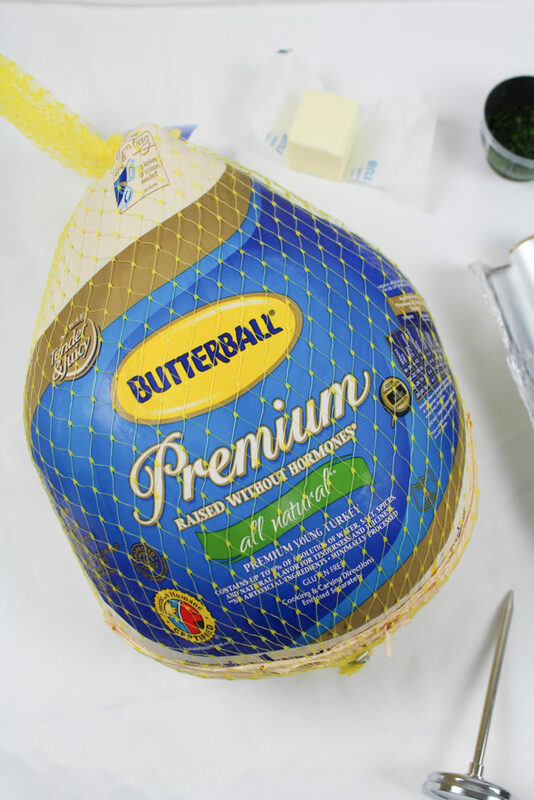 Find out more about Butterball here. I love serving wine at my dinner parties and Thanksgiving is no exception! But the thought of trying to pick and pair the right wine with your meal can be a little daunting. Poultry is actually a really versatile backdrop for wine pairings. Medium bodied wines are the best choices to serve with turkey but most fine wines will actually still work too! I’m a big fan of the Woodbridge by Robert Mondavi family of wines. They’ve been crafted for over 30 years and are perfect for everyday and holidays too. (I also really love the price point!) The red blend is a great option to serve for red wine lovers. It offers warm, toasty aromas and flavors, including blackberry, vanilla, and baking spices. 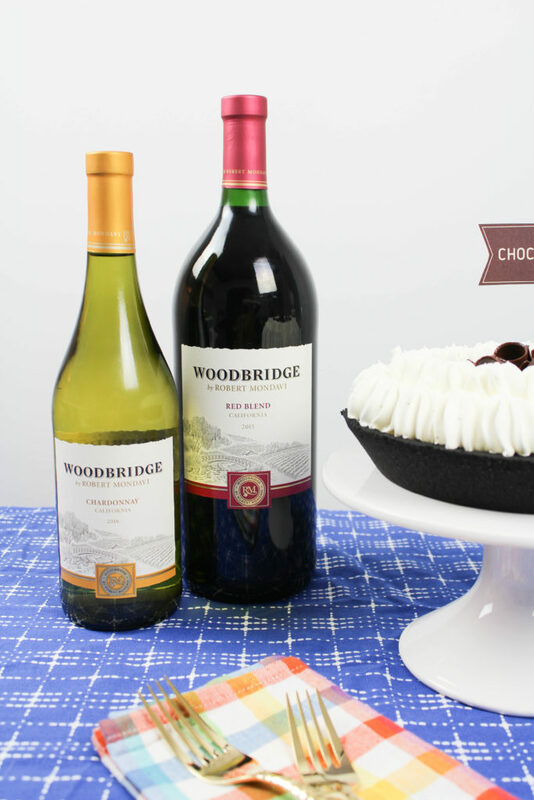 It’s full and rich with a long, flavorful finish and pairs really well with holiday favorites including turkey, creamy potatoes, and pumpkin pie! I prefer to open my red wines and allow them to set in a decanter, prior to dinner. This increases the oxygen exposure to the wine and increases the flavors! 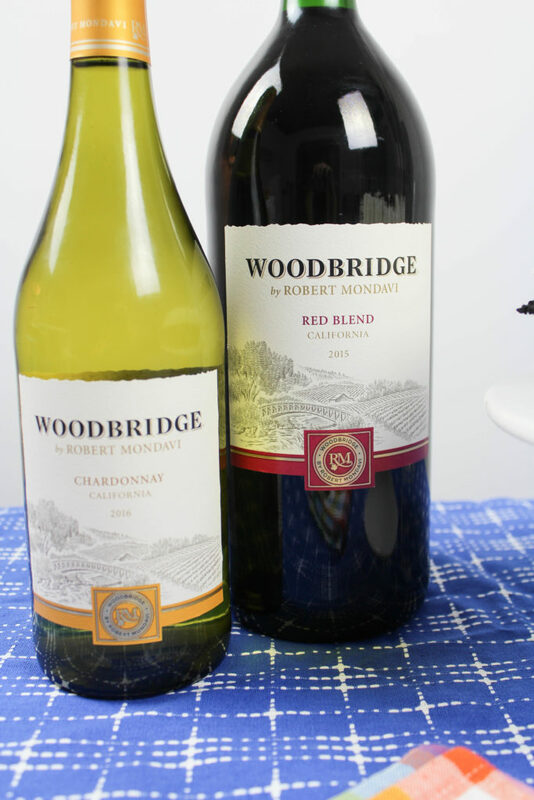 As a white option, I really like the Woodbridge by Robert Mondavi Chardonnay. It has aromas of tropical fruit with a hint of cinnamon and maple, leading to a rich, toasty finish. This wine is best served slightly chilled! (You can find both options available at your local grocer or wine supplier). You can find out more about their wines here. I’m all about saving time and purchasing store bought items, especially when you’re spending so much time in the kitchen preparing so many other recipes! Pie is definitely an area where I like to save time. Sure, homemade is great, but when you can purchase a store-bought pie, like the Marie Callender’s dessert pies and loaf cakes you not only have time to spend with your family and friends enjoying Thanksgiving, but they are delicious too! Why mess with a classic recipe when they are already soooo good? They are just like homemade, they are super easy to make, and clean up is a breeze (which is probably my favorite part!) 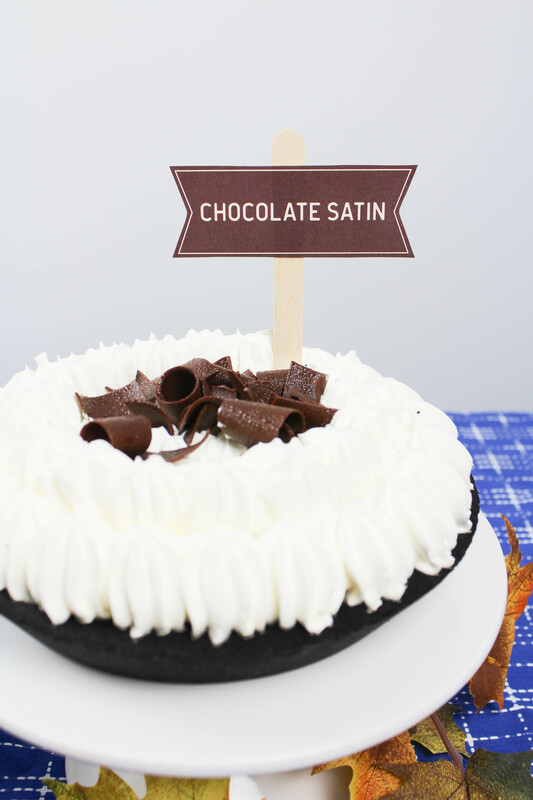 I’m partial to the chocolate satin myself, but with other flavors like dutch apple, pumpkin, southern pecan, and more, how can you go wrong?! 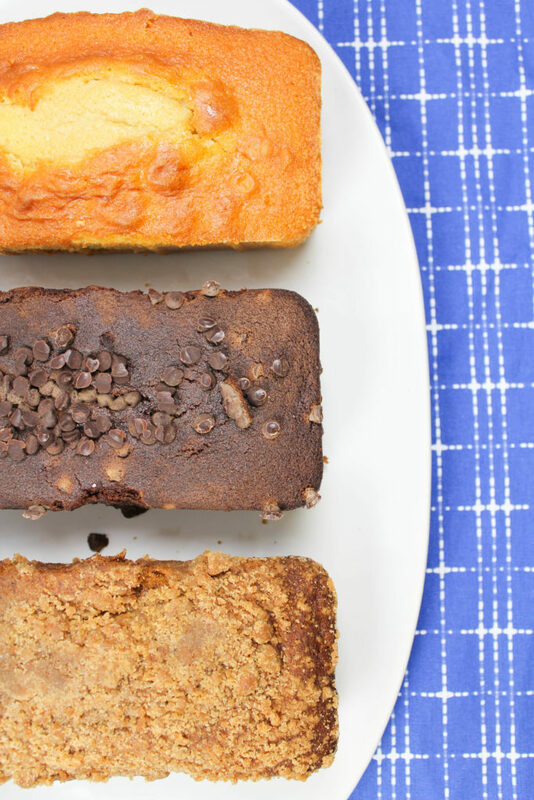 I’m also loving the new loaf cakes, which are made from scratch, with real ingredients and no preservatives or artificial colors. They make the perfect dessert choice for those people that may not be the biggest pie fans too! Whichever flavor of pie or loaf you chose to serve your friends and family, they are delicious desserts that are easy to make, so you can give thanks for homemade taste without spending a lot of time in the kitchen! 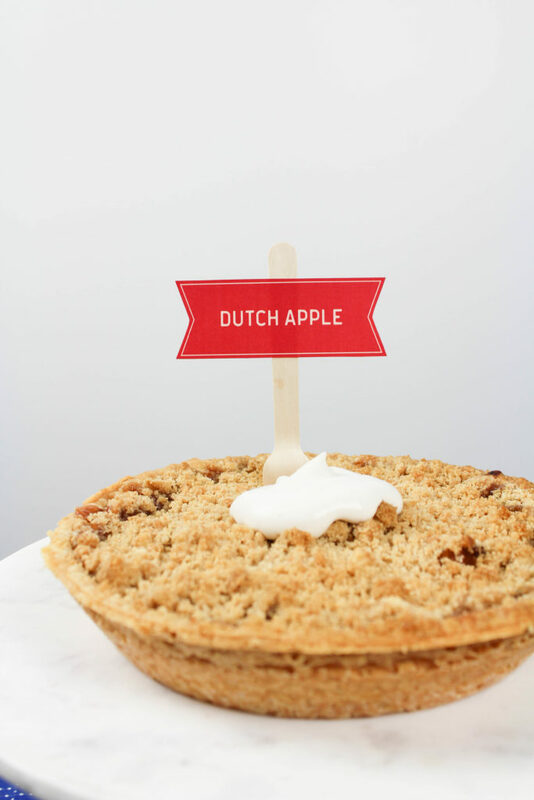 They also happen to make perfect additions to a DIY Thanksgiving pie bar! 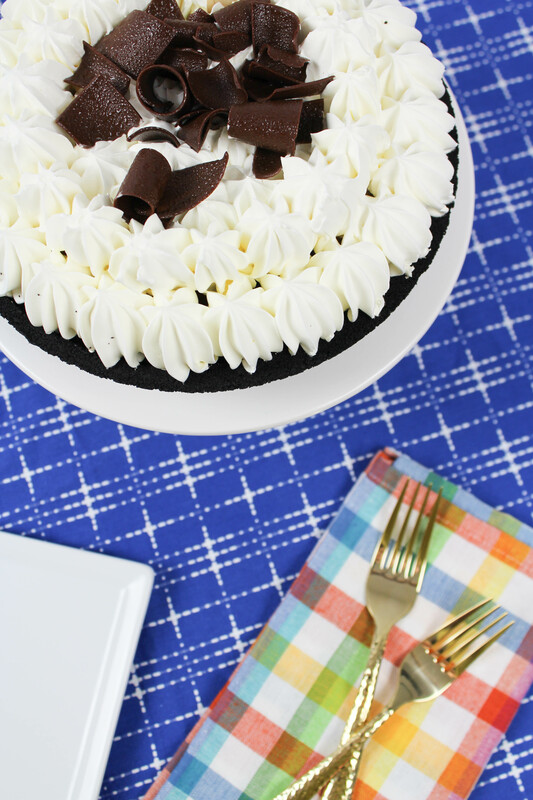 Find out more about the Marie Callender’s dessert options here. 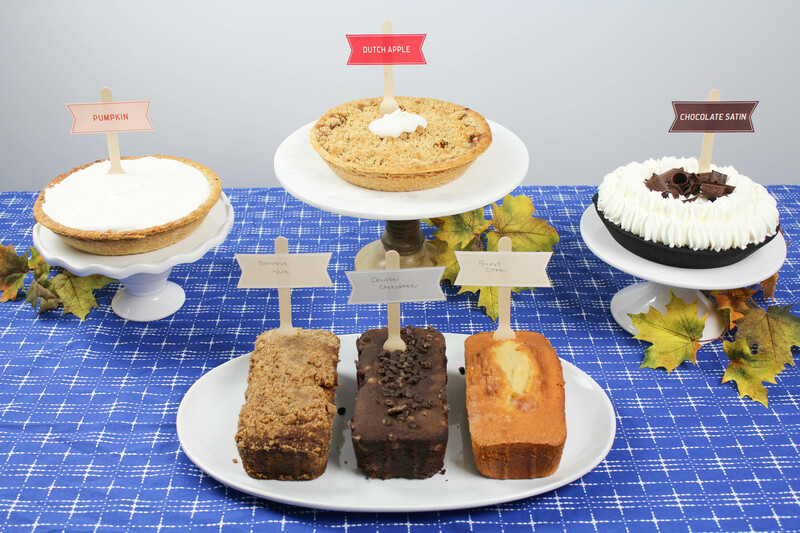 One fun and easy way I love to display all of those yummy pies and loaf cakes is with a DIY Thanksgiving pie bar! 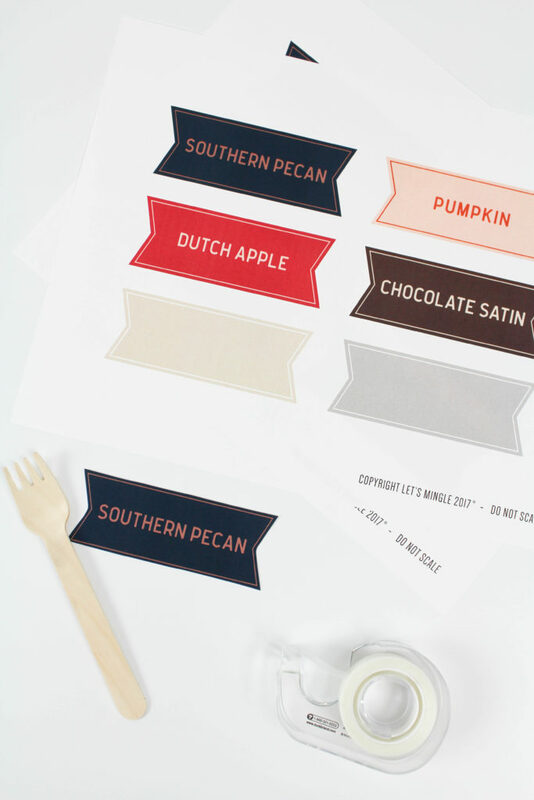 It’s a simple way to display all of the options for your guests and I’m even sharing some cute printable pie labels for you guys to use for your own pie bar this year! I’ve got all the classics covered, along with a few blank options that you can use for other flavors you might be serving too! Simply create space on a tabletop surface, add some pretty cake pedestals or serving plates, place your pies and loaf cakes onto the display pieces, add your printable pie labels, and decorate with some simple fall or Thanksgiving inspired decor! Guests can serve themselves and will be able to see all of the available options in one area. This DIY Thanksgiving pie bar would also be really cute for a friends-giving pie party too! 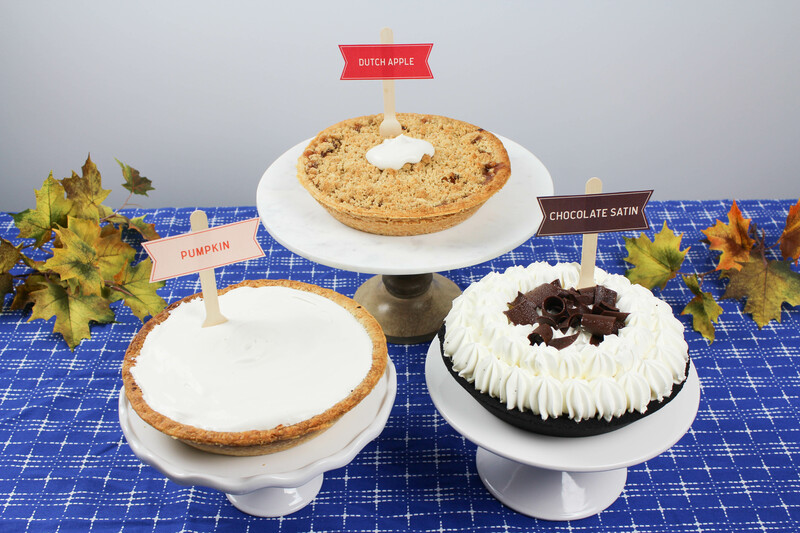 To add a little homemade touch to your DIY thanksgiving pie bar, you can make your own homemade whipped cream! It’s really easy to do and takes hardly any time to make. 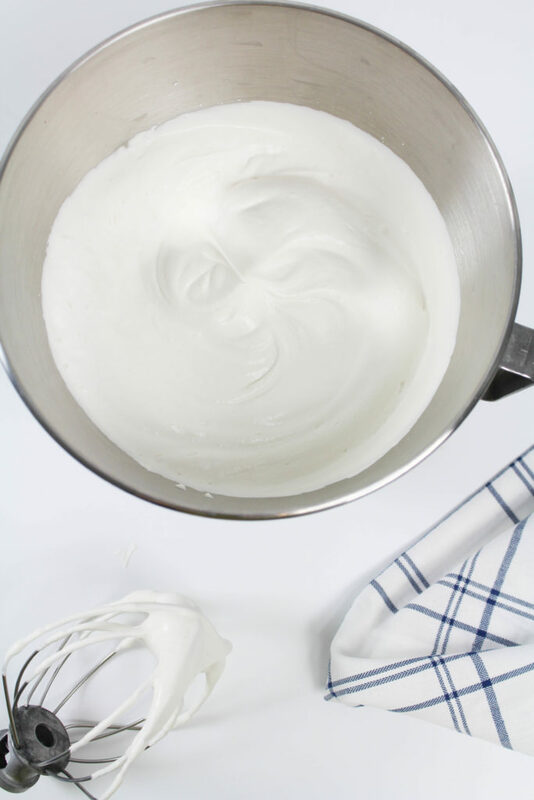 Plus, I’m sharing the perfect flavored whipped cream with you guys that is perfect on top of pumpkin or apple pie! 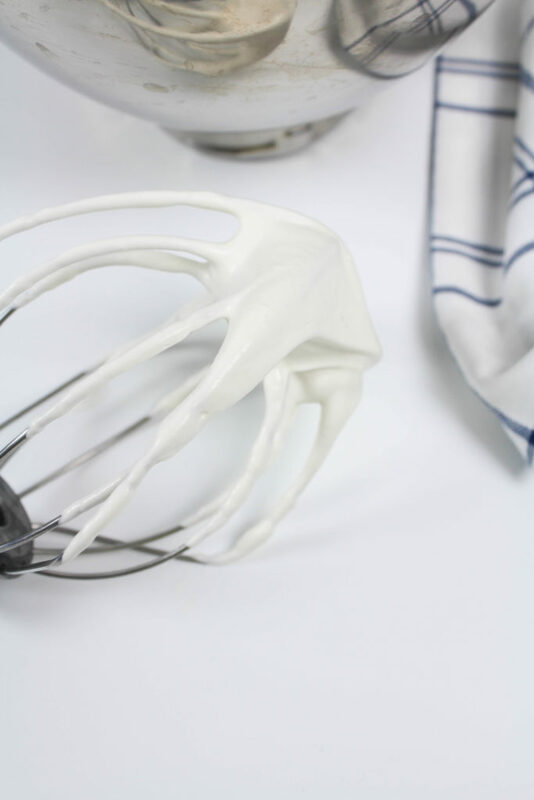 This maple vanilla whipped cream is delicious! In a large bowl, combine all ingredients. Beat on medium speed, using a stand or hand mixer, until soft peaks form. Do not over beat. You can refrigerate the maple vanilla whipped cream until ready to use. 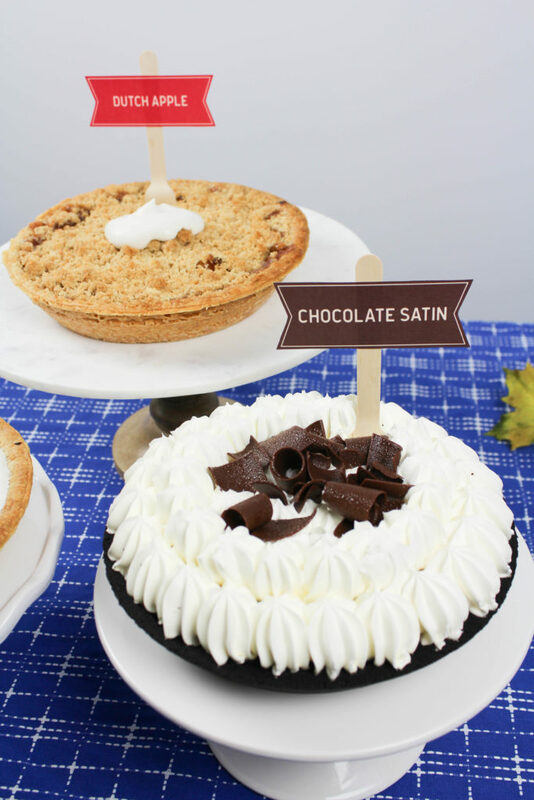 A DIY Thanksgiving pie bar is a fun way to incorporate a few different dessert flavors to accommodate all of your guests, create an impressive display, and do it with hardly any effort on your part! What desserts do you plan to feature on your pie bar this year? Looking for more turkey days tips and tricks? Find them here! And if you make mistakes, burn the stuffing, or spill the wine, don’t fret. We’ve all been there, made mistakes, and learned from them. If you don’t nail your first year, there’s always another one to improve! products to earn rewards. It’s free, easy, and fun with the Shopkick app!